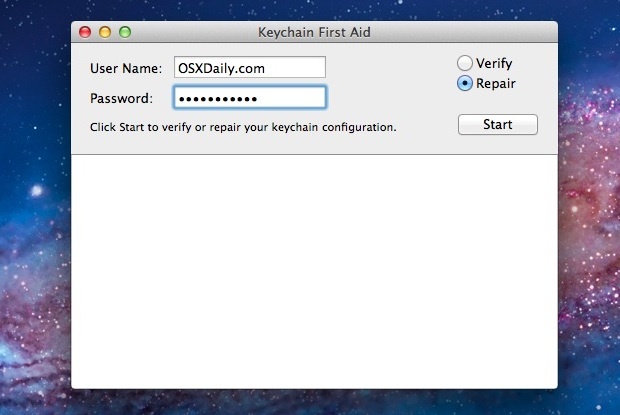 After keychain repairs are completed, exit out of Keychain Access and return to the application that wasn’t remembering the login and password information. You may be asked one more time for the login, but from this point on it should remember it. You can use the same fix when a Mac won’t remember wi-fi passwords, though forgetting networks is resolved through Repairing Permissions instead. This process will be the same for Mac OS X 10.6, OS X 10.7, and OS X 10.8, OS X 10.9. You are welcome to verify the keychain configuration before repairing it, but there’s little reason to not jump straight to the repair process. It says no problems found but mail asks for passwords quite often. I had this problem and this solution did not work, but I went into Finder>Applications>Utilities>Keychain Access>Preferences and Press Reset My Default Keychain. You might lose some of the other passwords stored in your keychain, but it did the trick for me (On Mail). You might wonder why they cant figure out how to detect errors automatically, or stop the keychain from getting corrupted in the first place. The setup for OS Sierra is different, I have these options set, but it still asks for every password for every site every time I reboot. Is this option in Sierra? I do not have a repair option on keychain access.